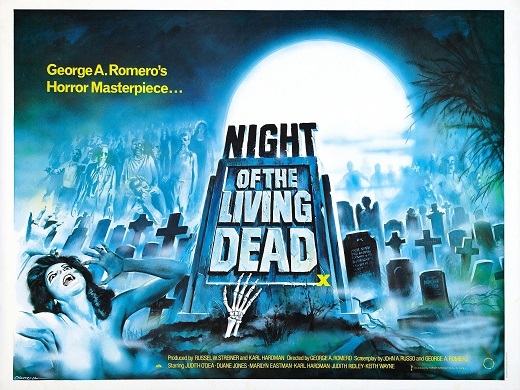 George A. Romero's horror classic Night of the Living Dead from the year 1968 is viewed as one of the most influential horror films. Since it is public domain in the US, there are countless DVD and Blu-ray releases of it. Apart from the original black-and-white version, there's also a post-colored version that is missing some scenes and another version that is the 30th Anniversary Edition that was extended by new scenes. In early October 2015, the Monster-Mania Horror Convention took place in the US and Romero was one of the guests. There, he announced that a 16mm workprint version was found that was previously believed to be lost. There, they found a scene running approx. 9 minutes that was cut out of the final version by the distributor. “This was a scene that takes place at the jump cut in the basement, including the largest zombie scene in the film,” describes a fan who attended the Q&A. Since the theatrical version is set for a restoration, it's quite possible that this newly found scene might get that treatment, as well, and maybe not only end up in the bonus section but possibly be re-integrated into the film.